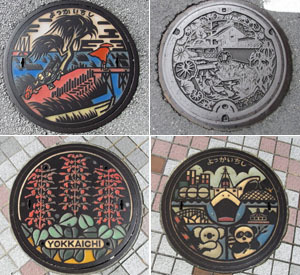 Can you please tell me what the heck is the deal with all the pretty manhole covers in Japan? They can be so lovely that I’ve started taking pictures of them when I travel around the country. When I shared these sewer snaps on my photo blog, I got some interesting questions from friends and family at home. For example, does every city and town in Japan have a special manhole cover? And who is in the business of producing them? You know why I love doing this column? Because every question opens my eyes to something new. I must pass over dozens of manholes every day, yet I’ve never given them more than a passing thought. And I’ve certainly never noticed any particularly pretty patterns. 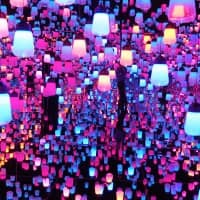 But a quick check on the Internet confirmed what you say — Japan has some very snazzy manholes, ranging from a stylized pine tree in Tokai, Ibaraki Prefecture, to the traditional doll adorning sewer tops in Kuroishi City up in Aomori. This is all a relatively recent phenomenon, as I learned on a visit to the Japan Ground Manhole Association, a Tokyo-based alliance of the 32 companies that keep the country in manhole covers. Although Japan had sewage and drainage systems as early as the Yayoi Period (about 2,200 years ago), its first modern sewer systems, the subsurface kind with access points called manhoru (from the English word), were built in the late 19th century with the assistance of foreign engineers. For its manhole covers, Japan simply adopted the geometric designs already in use in other countries. I should explain that there is more to manhole-cover design than meets the eye. The most important function of the raised design on manhole covers is not to look good, but to provide traction for the traffic moving over it. This is particularly important in wet weather, when manhole covers can be treacherously slippery, especially for two-wheeled conveyances such as motorcycles, scooters and bicycles. A good design, in terms of preventing slippage, will have multidirectional lines for better grip. Designs should also be recognizable no matter which direction they are viewed from, and have lasting appeal, since manhole covers last for decades at least, and often much longer. 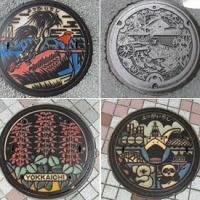 By the late 1950s, a few of Japan’s larger cities had developed original (but not very exciting) manhole-cover designs. When engineers from those cities moved out to help build sewer systems in other parts of the country, the manhole-cover designs went with them. This is why you see what’s called the “Tokyo design” and the “Nagoya design” in many other cities and towns. But it wasn’t until the ’80s that Japanese manhole-cover design went designer. 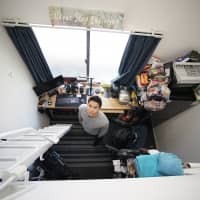 According to Noboru Fujiwara of the manhole association, credit for the proliferation of patterns goes to a man named Yasutake Kameda, who was then a ranking bureaucrat in the construction ministry. At the time, only about 60 percent of Japanese households were hooked up to municipal sewer systems. 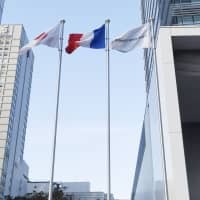 To raise acceptance of these costly public works, mostly underground and largely underappreciated, Kameda thought the one part that is visible — the manhole covers on the surface — ought to be more attractive. In particular, he encouraged cities, towns and villages around Japan to develop designs with local appeal. Custom covers cost on average about 5 percent more than off-the-rack designs, but even so, nearly 95 percent of the 1,780 municipalities in Japan now have a manhole-cover design to call their own. Trees and plants adorn nearly half of the designs, with official flowers being particularly popular. Animals, birds and local spots of natural beauty are also popular themes. 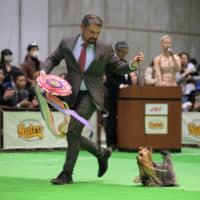 Given that just about anything can be turned into a hobby in Japan, it’s no surprise that manhole diversification has spawned its own group of enthusiasts. 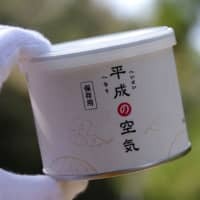 There are a number of Web sites where manhoru mania (manhole fans) can trade information on attractive lids, and there’s even a subgroup of people who make takuhon (rubbings) from manholes. Foreigners, too, have become captivated. Photos of Japanese manholes show up regularly on overseas sites, and an American woman named Shirley MacGregor has produced two books of quilting designs inspired by Japanese manhole covers. Look under the lid and there’s even more of interest about Japanese manholes. 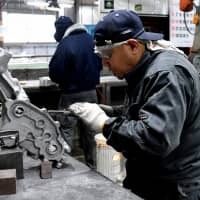 In many countries manholes are a source of noise pollution, because the covers rattle every time a vehicle moves over them, but that problem has been largely eliminated in Japan. In the ’70s, in response to noise complaints, manufacturers introduced a tapered fit that has pretty much put the lid on rattling. Japanese manholes also have advanced safety features developed specifically for local conditions. In a heavy, concentrated rainfall, especially on steep terrain, the air and water pressure inside a sewer can increase to the point that manhole covers are blown off and thrown as far as 10 meters. This is a hazard in and of itself, but a manhole left open is also very dangerous, particularly when obscured by raging waters. After two people died because they fell into open manholes during a storm in Kochi City in 1998, manufacturers developed a hinged safety system that holds the cover on while allowing pressure to escape. Once the pressure is off, the cover settles back into place. And just in case the system fails and the cover is blown off, new safety grills inside the opening are designed to prevent anyone from being swept into the open sewer. The most up-to-date and comprehensive guide to Japanese manhole design is “Nihon no Manhoru” (1997), which provides photos and details on 1,546 different manhole cover designs from all around Japan. It’s all in Japanese, but includes just enough English (the prefecture and town for each manhole) that you could track down designs you find attractive, or know what to look for when visiting a specific destination. The book is not available from online booksellers, but you or your local bookseller can order it for ¥6,300 from the publisher, Suido Sangyo Shinbun-sha (1-19-10 Toranomon,Minato-ku, Tokyo 105-0001;  5251-0303; fax  5251-3802; www.suidou.co.jp). The manhole covers you see on the street are most likely to be atop sewers, but there are also manholes leading to storm drains, fresh-water supply pipes, telephone lines, fiber-optic cables, gas pipes and electric supply lines. In some communities, even the fire hydrants lie under street-level covers. All in all, there about 120 million covers in Japan, or one for every woman, child and man. Puzzled by something you’ve seen? 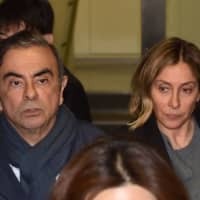 Send a description, or better yet a photo, with the address where you saw it to whattheheckjt@yahoo.co.jp or Alice Gordenker, A&E Dept., The Japan Times, 4-5-4 Shibaura, Minato-ku, Tokyo 108-8071.